Get protected with a DUI lawyer or for a traffic court appearance with The Law Office of Ross Smith in Youngstown, Ohio. Your license, your insurance rates, and sometimes your vehicle could be in jeopardy without the kind of proper representation that goes to the wall for your rights. OVI (operating a vehicle under the influence), also referred to as DUI or DWI, is one of the most commonly committed traffic offenses in the United States. Unfortunately, because this offense is so commonplace, many people underestimate this charge and take their OVI arrests lightly, instead of getting the legal representation they need. If you've been charged with OVI, you need to do something about it right away. Don’t lose your rights or unknowingly weaken your case because you didn’t have the right legal representation. Contact us right now to make sure you know your rights! Traffic offenses happen to everyone, but not everyone knows that by mailing in your ticket and fine, you will automatically be given points against your driving record that will likely increase your auto insurance costs. Discuss your options with us before your insurance goes up and find out if there’s a way to resolve your traffic offense without adding points to your record. 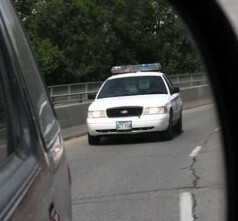 help you protect your rights when dealing with an OVI/DUI or other criminal or traffic offenses.